Is it Church teaching or Personal Opinion? One of the theological problems that plagues the faithful in the present time is an over-simplification of the Catholic Faith. This problem is particularly prevalent in Catholic sources online (blogs, discussion groups, personal devotional websites, etc.). There is a strong tendency for Catholics who are explaining their Faith online to over-simply the teachings and the theology on which our faith is based. Why do they do so? It may be partly out of pride; they want to present themselves as if they understand the teachings of Catholicism. So anytime they do not understand a doctrine, instead of remaining silent, or studying and praying before writings, they over-simplify the doctrine, and then present it. Often this results in doctrinal error, or even material heresy. This problem is particularly severe with certain online teachers of Catholicism. They are not presenting their opinion or interpretation. They are teaching — or rather claiming to teach — the Catholic Faith. But as a result of arrogance and ignorance combined, what they present as Church teaching is at best an inaccurate over-simplification, and at worse doctrinal error or heresy. So this brings us to the question as to whether a particular writing is Church teaching or personal opinion. The question shows a misunderstanding of the topic. It is a false dichotomy. Writings on the Faith, from posts to articles to books, cannot be divided into two types: Church teaching and personal opinion. This is true for several reasons. 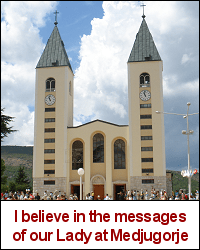 The teaching of the one holy Catholic and truly Apostolic Church includes all of the teachings of Sacred Tradition and all of the teachings of Sacred Scripture and all of the teachings of the Magisterium. But many of the online teachers of religion speak as if the teachings we are to believe are solely those of the Magisterium. They do not allow that the faithful should learn directly from Tradition or Scripture, or if they do allow it, they consider all such learning to be personal opinion and unreliable. At the present time, with 2000 years of magisterial documents, it might seem as if we can learn and live the Faith based solely on the teachings of the Magisterium. But what was the early Church like? The faithful had few, if any, magisterial documents, and the New Testament was not yet completed and compiled as a single volume. The Epistles circulated among the churches, but it was not clear which Epistles were Scripture (or even if any of them were Scripture). The faithful learned the Faith mainly from Sacred Tradition, directly, then secondly from Sacred Scripture, then from the Magisterium. Has the Faith changed, so that now it is based only on the teachings of the Magisterium? When did this alleged change occur? Was it when the internet was invented, so that the faithful could look up magisterial documents online? Was it when the Catechism of the Catholic Church was published? Certainly not. The Faith has always been based first on Sacred Tradition, then on Sacred Scripture, then on the teachings of the Magisterium. And the faithful have always learned the Faith from Tradition directly and from Scripture directly as well as from the Magisterium, which teaches from Tradition and Scripture, as well as from natural law. The teaching of the one holy Catholic and truly Apostolic Church includes all of the teachings, implicit and explicit, of Sacred Tradition and all of the teachings, implicit and explicit, of Sacred Scripture and all of the teachings, implicit and explicit, of the Magisterium. It is a perversion of the Faith to claim that we are only required to believe the explicit teachings of the Magisterium, and not also the explicit teachings of Tradition and Scripture, as well as the implicit teachings of Tradition, Scripture, Magisterium. But what is implicit is by definition not always entirely clear. So it is never going to be entirely clear, in this life, whether an idea is an implicit teaching of Tradition, Scripture, Magisterium, or not. How can God require us to believe what is implicit, what is not entirely clear? In this life, our task from God is to seek the face of the Lord, to seek an ever better understanding of truths that we cannot fully understand in this life, of mysteries that we cannot fully understand even in the next life. The Faith is so not-simple that we will not fully comprehend all its truths even when we have the Beatific Vision of God. And since we don’t have the Beatific Vision of God in this life, we cannot have complete surety about which ideas are true, which are inaccurate or in need of further development, and which are perhaps errors to some extent. But even concerning the explicit teachings of the Magisterium, we do not have complete surety. For the dogmas and doctrines of the Magisterium require understanding and interpretation. It is clear to my mind that contraception is intrinsically evil regardless of marital state. It is clear to my mind that intrinsically evil acts are always immoral, solely due to the inherent ordering of the objective act toward its evil moral object. But other persons claims that these explicit teachings of the Magisterium have never been taught by the Magisterium, or at least need to be clarified by the Magisterium before we should believe them. Ironically, persons who claim that certain explicit definitive teachings of the Magisterium have not been taught by the Magisterium at all, or not clearly and definitively, are among the same persons claiming that we must believe all those things and only those things taught explicitly by the Magisterium. How can they utter such blatant hypocrisy? because they have over-simplified the Faith so that the teachings of the Church have been narrowed, not even merely to the explicit teachings of the Magisterium, but only to those explicit teachings of the Magisterium that they themselves have understood and accepted. The faithful have knowledge of the eternal moral law from reason, not from faith alone. And the Magisterium teaches that we are all required by God to distinguish good from evil, moral acts from immoral acts, based on faith and reason, based on Church teaching and natural law, not based on the explicit teachings of the Magisterium alone. But reasonable sinners disagree as to what the natural law requires of us. And the teachings of natural law are not written down explicitly by nature, so that we could look up an answer. So what is and is not taught by the natural law is not always clear. Nor can we divide natural law into the ideas of natural law that are Church teaching and those that are personal opinion. For we are required by the moral law to make use of natural law directly, not adhering solely to the teachings of the Magisterium based on natural law, but adhering to every truth on morality that we can perceive, even if without absolute certitude, whether from natural law or Tradition or Scripture or the Magisterium. The teachings of the Magisterium are not all entirely infallible. The Magisterium teaches infallibly only in three ways: solemn definitions of the Pope, solemn definitions of Ecumenical Councils, the universal ordinary Magisterium. All other teachings of the Magisterium, whether of the Pope, or an Ecumenical Council, or the Holy See, or a Bishops’ Conference, or an individual Bishop, are non-infallible and subject to a limited possibility of error. So even if an idea is a non-infallible teaching of the Magisterium, it might contain some error. Does the God who is Truth require us to believe what is erroneous and false? Certainly not. Therefore, the faithful have a right to dissent from some points of the non-infallible teaching of the Magisterium. For the Magisterium is not a god to be worshipped, but a servant of Tradition and Scripture, a servant of God who it Truth. 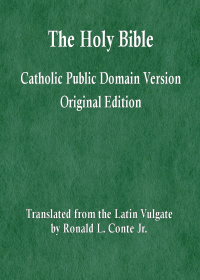 If anyone says that a faithful Catholic Christian must believe a non-infallible teaching of the Magisterium, even though he understands, based on the teachings of Tradition, Scripture, Magisterium, this point of teaching to be false, it is proof that such a one has gone astray from the teachings of Christ, who is the Way, the Truth, and the Life. If anyone says that a faithful Catholic Christian must believe a non-infallible teaching of the Magisterium, even though he understand it to be false, it is proof that such a one has committed the error of Magisteriumism, which treats the Magisterium like an idol to be worshipped. The false dichotomy — Church teaching or personal opinion — is often associated with the further claim that, if an idea is merely personal opinion, it is of little or no value; it should be ignored or rejected, so that we believe only Church teaching. For personal opinion might contain error. There is so much wrong with this concept, I hardly know where to begin. Let’s begin with dogma, an infallible teaching of the Magisterium, and one that every Catholic admits is a dogma: the Immaculate Conception of the Blessed Virgin Mary. If you quote the infallible definition itself, what you have is a single sentence. Fine. But if you were to write about the Immaculate Conception, if you were to teach this dogma in an article of even modest length, you would necessarily need to make statements that are not dogma. You would be giving your personal interpretation and opinion on the broader meaning of the dogma and its relationship to the rest of the body of teachings of the Faith. For all the truths of the Faith are interrelated, they are like one truth, they are like one Word uttered by God. And if personal theological opinion is harmful or useless, then why have Pope Benedict XVI and Pope John Paul II both written and published books of private theology? They could spend that time issuing one infallible dogma after another. Why? because the Faith is based on the infallible AND the non-infallible AND the fallible. Without personal interpretation and opinion, the teachings of the Faith, even the infallible dogmas cannot be understood or taught or discussed or lived. Without theological opinion, the truths taught by the Magisterium would be unreachable. We could see them at a distance, but we would not be able to take them into our minds and hearts and lives. Whoever speaks as if we should only believe Church teaching, and should reject or severely deprecate pious opinion, is a hypocrite. For all such persons do in fact use personal opinion to understand and live the teachings of the Church. Certainly, personal theological opinion is fallible. But it is also absolutely necessary and indispensable in this life if you wish to live the Faith gifted to use by Jesus Christ. Given that theological opinion is indispensable to all the faithful, how do we know which opinions to trust? Should be grade theological opinions based on credentials, or on which opinions have the imprimatur, or on which opinions are popularly accepted, or on which opinions are most common among theologians? No. We should pray and study and seek understanding, so that we can perceive, with our own faith and reason, which ideas are correct. You cannot abdicate your personal responsibility, throughout your life, to seek truth on matters of faith, morals, and salvation. We should realize that some theological opinions have stronger support from Tradition, Scripture, Magisterium, and others are more speculative. But using your own faith and your own reason is a moral requirement. It is often not clear whether a particular idea is infallible or non-infallible or theological opinion. So if we were to reject or severely reduce in value all opinion, we would inevitably be throwing away some teachings. Some ideas that seem like mere theological opinion actually are teachings of the Magisterium (implicit or explicit). Some ideas that seem like teachings are actually theological opinion, even erroneous theological opinion. And even when it should be clear that a particular opinion is infallible, not non-infallible, or is a teaching, not an opinion, there will always be many false teachers who will try to convince you otherwise. But doesn’t the imprimatur solve all of the above mentioned difficulties? Not at all. A book of theology with the imprimatur will contain some Church teachings and some theological opinion. And the imprimatur is not even intended to indicate that the Bishop agrees with the theological opinions therein. Furthermore, the imprimatur is an act of the fallible temporal authority of the Church, not an act of the non-infallible or infallible Magisterium. So errors are entirely possible. Some bad books have the imprimatur and some good books do not. The hypocrites who say that an idea or a book should be rejected because it lacks the imprimatur, often themselves have many writings (such as internet articles) without the imprimatur, often themselves praise and promote books that lack the imprimatur, often themselves reject ideas found in books that have the imprimatur and accept ideas found in books that lack the imprimatur. Gallery | This entry was posted in Magisterium, theology. Bookmark the permalink.